There was protective tape on the head which was a pain to get off. 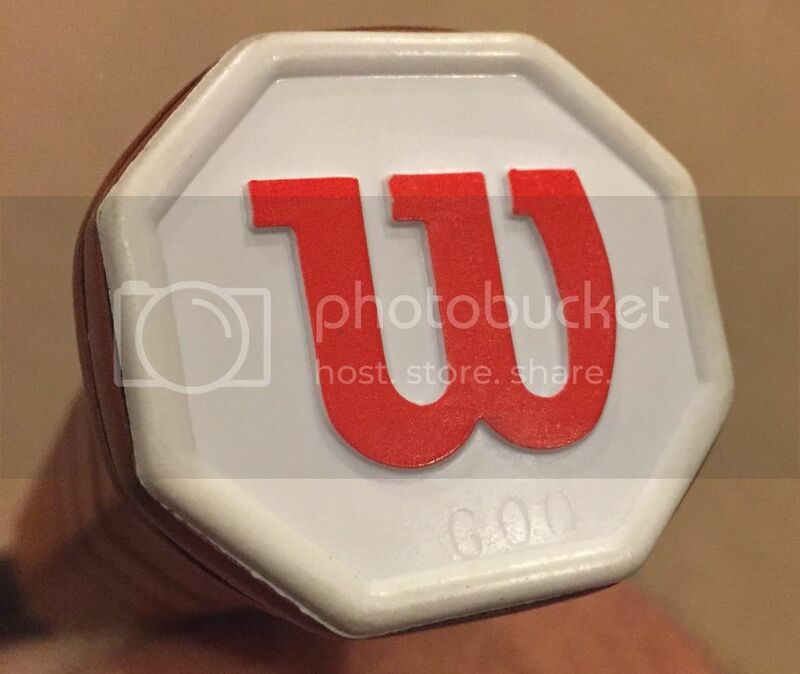 I think this thing has only a couple of blemishes and no chips. It's definitely on its first strings just like the Rosignol. Nice! 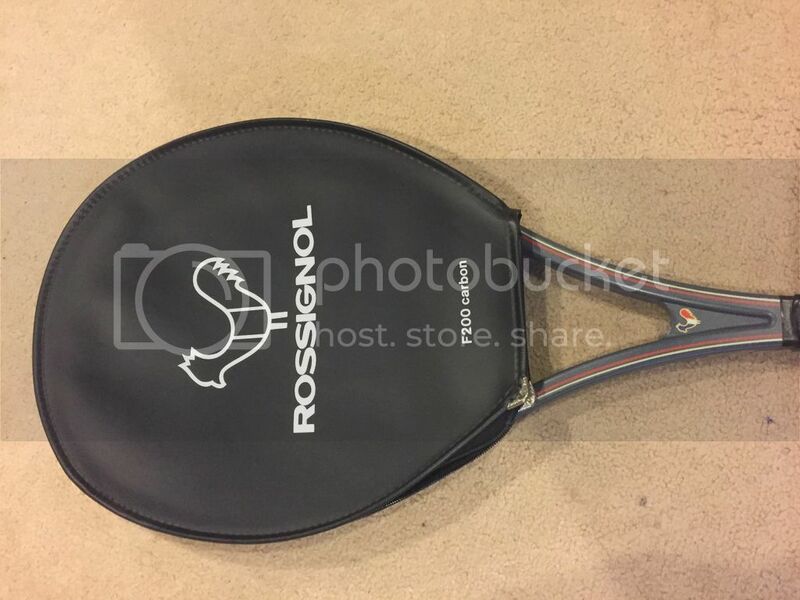 Lets see the Rossignol! Two splendid acquisitions. I'd say your associate agent did a fine job. That thing looks like it was made yesterday. It's much nicer than many other newer bags I've got. The last owner must've stored these things in some sort of time machine. 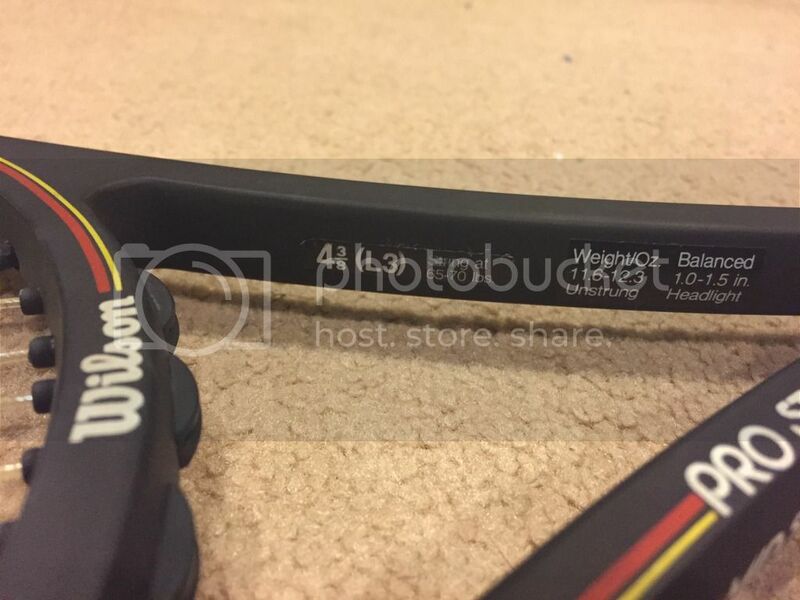 They both look so very new for two bumperless frames. 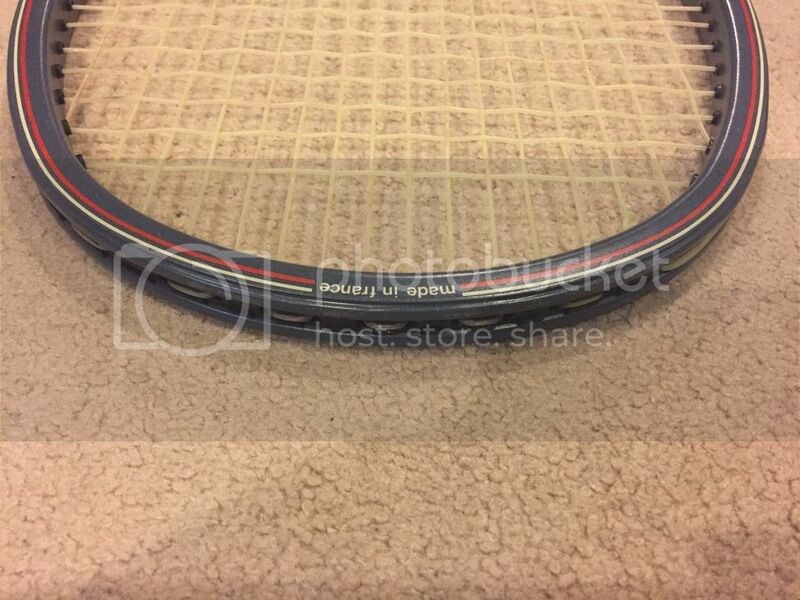 It doesn't look like that racquet was ever used. There's some slight scrapes. The cover cannot possibly be 35 years old. I've never seen something age so well. It looks like it was new yesterday. The PS85 has fewer flaws than the F200. I'll probably end up selling them off or trading them. They're too nice for me to enjoy them. I don't get pleasure from playing tennis with shiny racquets and I'm the same with my cars. I prefer my things to work the way they should but have flaws so I'm not paranoid about trying to keep them in new condition. 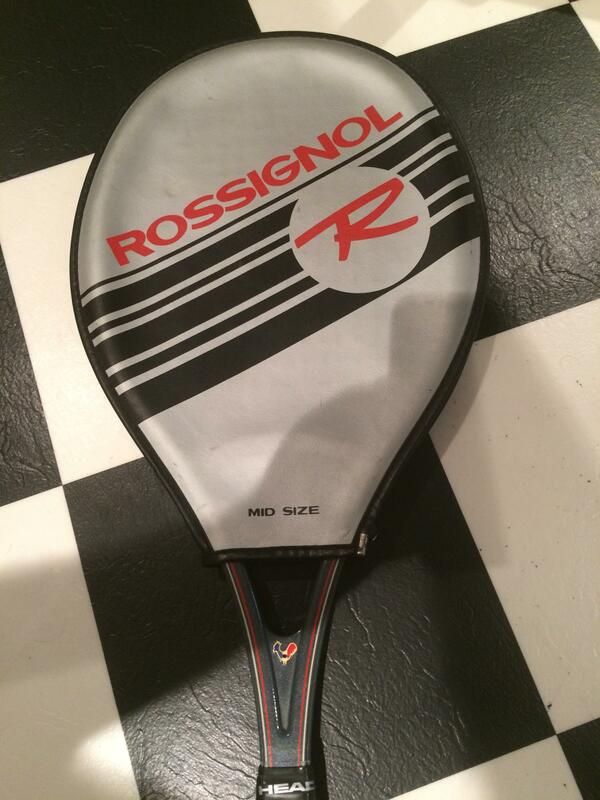 That's the cover Rossignol used when the F200 originally came out. Nope - that looks like the original Rossi cover alright. My guess is that F200 was used once and spent the next 35 years in storage. That's my guess about both frames. 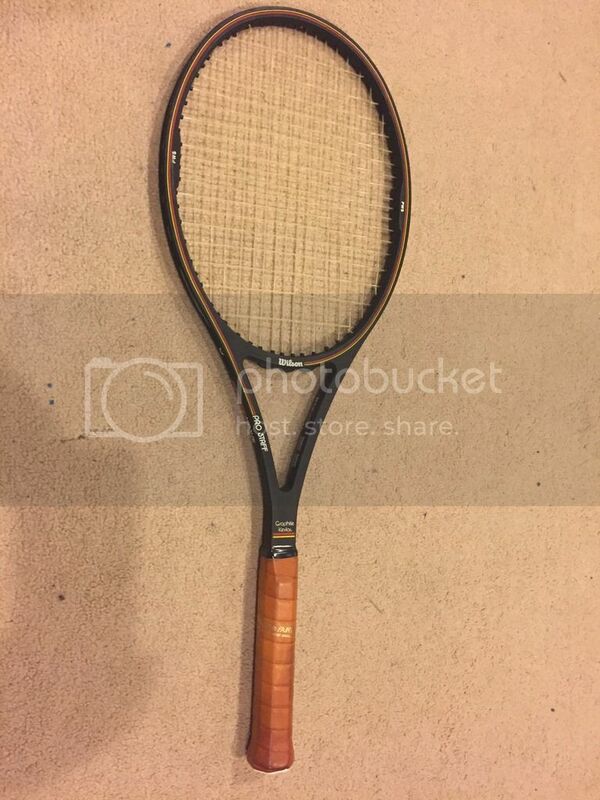 The oddity is they were sold together with a much newer 25" Wilson Serena/Venus Jr racquet. So what's the story on this head cover that came with the F-200 I found? Check the miles on your Delorean, you daughter maybe took it for a spin. 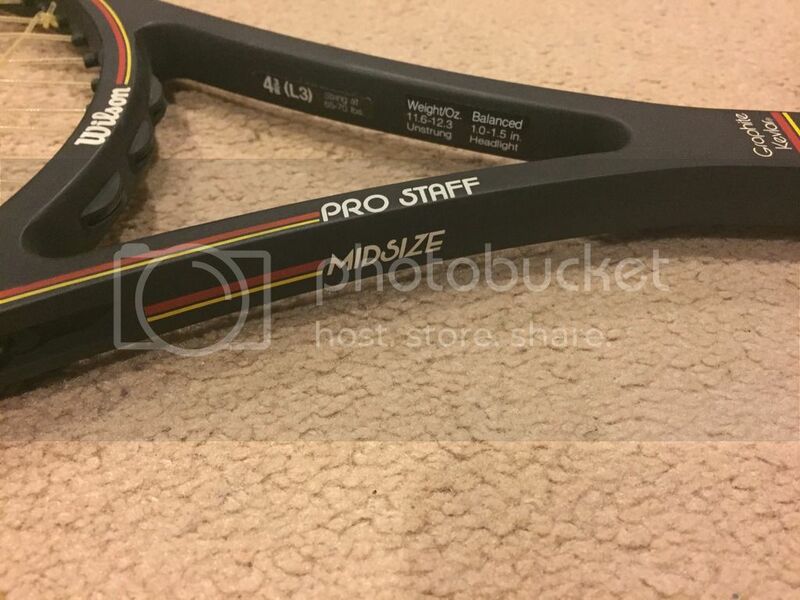 Two very nice and special racquets. 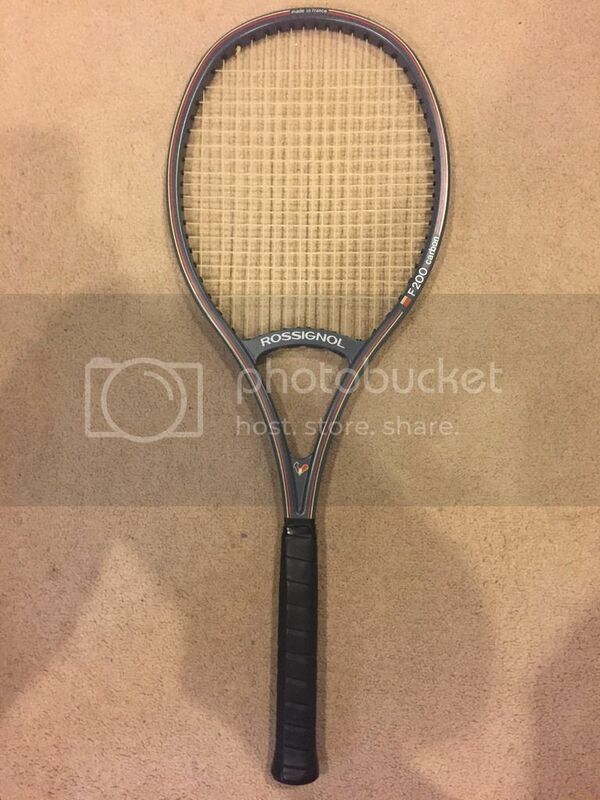 I got the same head cover for Rossi, this is one of the softest racquets were ever made. PS is a true classic, one of the best ever made.